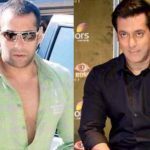 If you want to grow your hair really fast, there is no other best way than oiling your hair. There are several types of oils provided by nature to us. You can choose the best oil for faster growth according to your hair type. Today we have compiled a list of top 10 best oils for faster hair growth. Just have a glance at this article to know more about these oils. Tenth position on our list is acquired by ‘Almond Oil’, which is a rich source of vitamin E. It also has fatty acids, antioxidants, magnesium and protein which help to reduce breakage and boost hair growth. 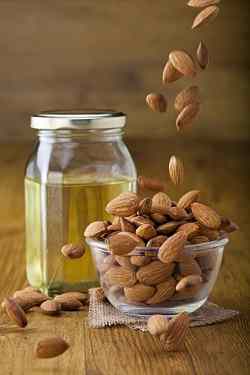 Regular massage to your hair with almond oil help to treat damaged hair and to grow healthy hair. Next on our list is ‘Thyme Oil’. It helps to rejuvenate hair follicles and to promote hair growth. 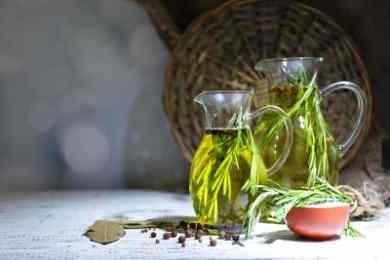 Regular massage from thyme oil can prevent hair loss. It is also used to treat alopecia. It also has antiseptic properties which help to prevent any fungal infection of the scalp. Peppermint oil is another great essential oil for hair growth. 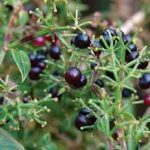 It has antimicrobial and anti-inflammatory properties. It helps to prevent baldness. 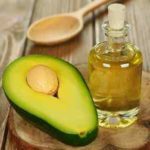 You can mix this oil with some carrier oil like coconut oil or jojoba oil and give massage to your scalp or you can mix a few drops of peppermint oil with shampoo and conditioner. 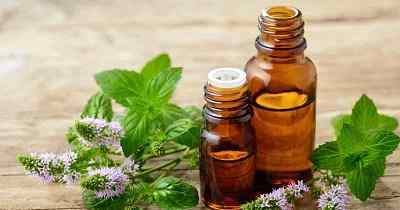 Undiluted peppermint essential oils can cause a burning sensation, thus it is recommended to always dilute this with a carrier oil. Argan oil contains Vitamin E, which moisturizes and nourishes hair. It penetrates hair shafts and hydrates hair. 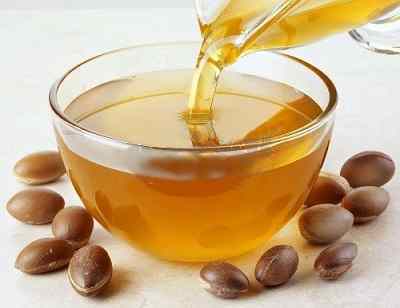 Argan oil is rich in anti-oxidants. It makes the hair lustrous and repairs damaged hair. 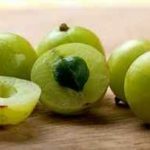 This oil is also helpful in treating split ends. 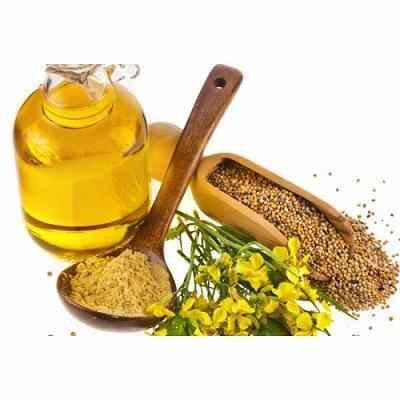 Mustard oil contains omega-3 fatty acids, which helps in hair growth. Regular massage from mustard oil keeps your scalp healthy and nourished. It also has antifungal and antibacterial properties which ensure healthy hair growth and less hair loss. 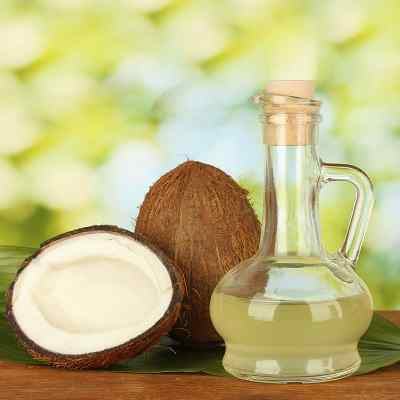 Fifth position on our list of top 10 best oils for faster hair growth is grabbed by ‘Coconut Oil’. Regular massage with warm coconut oil can prevent hair loss and stimulate hair growth. It has antifungal and antibacterial properties which help to treat dandruff or any fungal infection of the scalp. 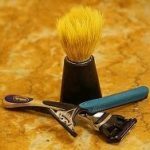 Apart from growing your hair it also makes your hair soft, shiny and lustrous. 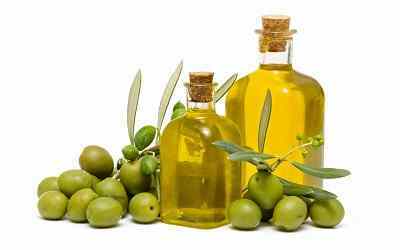 Olive oil is another highly moisturizing hair oil which is rich in vitamin E. It penetrates the hair shaft and retains its moisture. 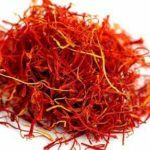 It has anti-inflammatory properties, which helps in treating dandruff and hair loss, which tends to subsequent hair growth. It is also considered as the best natural conditioner, which gives soft, shiny and smooth hair. 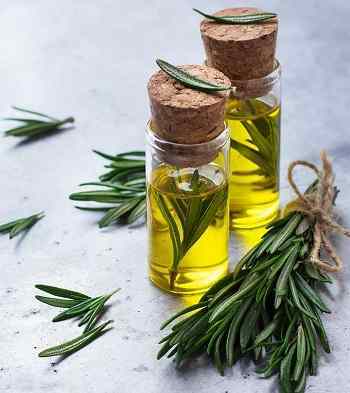 Next in our list is Rosemary Oil, which is another effective essential oil for hair. It has anti-inflammatory properties. It prevents hair follicles from being starved of blood supply and drying off. Apart from stimulating hair growth, it is also used to prevent dandruff, premature graying and dry and itchy scalp. 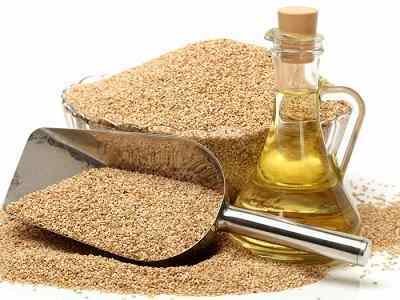 Sesame oil is enriched with protein, B complex, Vitamin E, and minerals such as calcium, magnesium and phosphorus. It improves circulation of the blood in the scalp and promotes hair growth. It also helps to treat chemically damaged hair by supplying nourishment to hair shafts and follicles. Sesame oil is also great for treating premature graying, protecting hair from harmful UV rays, treating head lice and dandruff. It is a great conditioner for your hair, which revitalizes damaged hair. First position on our list of top ten best oils for faster hair growth is occupied by ‘Castor Oil’, which is rich in proteins, vitamin E and minerals. This oil is very thick in texture, thus it is recommended to use this oil with some other carrier oil. 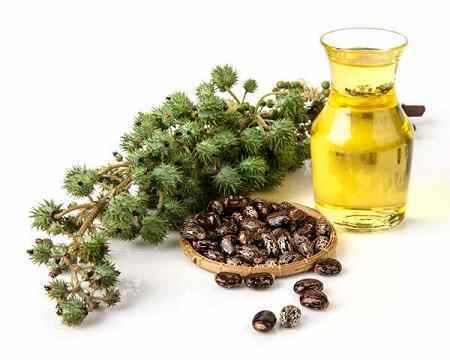 Castor oil has antioxidants and anti-microbial properties, which help in treating dandruff and other scalp condition. If you want to take maximum benefit from this oil, then you should use cold-pressed castor oil. Regular use of castor oil will give you thick, healthy, shiny, and moisturized hair. It is best for controlling hair loss and preventing split ends.